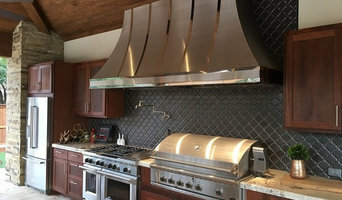 We are a custom metal fabrication facility specializing in custom venthoods,countertops,back splash,etc out of various metals including stainless steel,copper,brass,zinc,bronze,and carbon steel with many different finishes and patinas. Italia Faucets, Inc. is a purveyor of luxury designer plumbing fixtures and faucets from around the world. Economic Granite is a kitchen countertop company with over 20 years of experience working with the most delicate and rare minerals. Our goal is to provide customers with the highest level of craftsmanship, experience, and cleanliness at a price they can afford. We offer granite countertops, marble countertops, quartzite countertops and more in Dallas, TX and the surrounding areas. Visit our website at www.econgranite.com for more info or browse through our ideabooks! Since 1937, Pierce Hardware has provided the finest decorative hardware and plumbing products to builders, the design community, and homeowners. 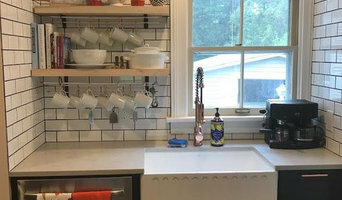 Whether you're building a new home, remodeling, or just changing out cabinet knobs or the kitchen faucet for an updated look, you need to come see the professionals at Pierce. Manufacturers include Toto, Dornbracht, Blanco, Franke, Jason, KWC, Bain Ultra, Rohl, Sigma, Watermark, Phylrich, EWS, Baldwin, Rocky Mountain, Sun Valley Bronze, Omnia, Electric Mirror, and many, many others. Find your style in 30 stunning colors of beautiful stone composite sinks for the kitchen and bath 100% handmade in the U.S.A. by the skilled artisans of Whyte & Company. Full service flooring company that does so much more than floors! Frameless Glass Systems designs and installs high quality shower and tub enclosures, glass divider walls, mirrors, glass stair railings, windows, cabinet glass, glass countertops, glass shelving, and much more. Our professional sales team and installers work with homeowners, builders, designers, architects, and remodelers throughout the DFW metroplex. We're focused on providing high quality glass installations at a competitive price with a quick and courteous installation. The Bath & Kitchen Showplace is owned by the Hajoca Corporation, the nation’s largest privately-held wholesale distributor of plumbing, heating and industrial supplies. Hajoca has locations in 32 states, representing the premier product lines in its industry. Through this relationship, The Bath & Kitchen Showplace is able to offer a large selection of inventory at competitive prices. Established in the 1990s as a luxury plumbing showroom, The Bath & Kitchen Showplace has grown to include 22 locations throughout Texas. Our convenient locations include showrooms in Dallas, Arlington and Austin, so you can easily find the products you need for your bathroom and kitchen remodeling projects. Our showrooms are an extension of Moore Supply Co., the distributor portion of our business that was founded in 1952. With more than 50 years of experience, The Bath & Kitchen Showplace knows a thing or two about bath and kitchens. Our many plumbing and fixture options combined with our great resources offer our customers a vast assortment of styles to fit any budget. Registered Kohler Showroom. Also registered showroom of Brizo, Hansgrohe, Axor, Newport Brass, California Faucets, Rohl, Waterstone, Dornbracht, Grohe, Riobel, Victoria & Albert, Artos, Luxart, Hydro Systems, Jetta, Phylrich, Duravit, Icera, Native Trails, Mr. Steam and many more! JPC&W is an artisan style outfit with shops serving Dallas and the Park Cities and Austin, Texas. We work with designers, contractors or homeowners to create beautiful, functional spaces. Our work typically feels light, clean and organic, but is created to suit each client from those who desire whimsy to the classic farmhouse, asian modern and beyond. Our crew consists of a handful of highly skilled craftsmen who enjoy the challenges of design and the creation of something unique and pleasing to each client. We take pride in craftsmanship and use the highest quality materials available and appropriate to the project. We keep abreast of the latest techniques and trends in design and so can blend the timeless with the innovative as well as the leaders in our field. Jed especially is becoming respected and sought after for custom stain grade islands and commissioned one of a kind furniture pieces. As one of the pioneers in the industry, Morrison Supply Company now operates over 110 branch and showroom locations dedicated to serving the plumbing trade. We offer the largest selection of both commercial and residential fixtures and supplies—and back them with unparalleled support. Our experienced, knowledgeable staff along with their commitment to provide impeccable customer service continues to be the driving force behind our continued growth and success. Our collection of tridimensional metal and stone Backsplash Murals and Tiles have been inspired by the Tuscan countryside scenery. Once you install them in your kitchen, these Murals become jewels to your walls by adding a touch of elegance and sophistication. In our collection you will be able to find a decorative tiles and borders that matches perfectly with the backsplash you like. Our pieces are elaborated through a process of electro-form which permits a deposit of a resistant layer of metal. To guarantee the resistance of the murals, they are reinforced with a film of fiber glass of high impact. The final artistic touch finish of each mural is made by hand; for which each mural can be considered an original. To maintain its final finish, an epoxy enamel of high resistance is applied which permits a minimum upkeep. In the Westside Kitchen & Bath Showroom , clients can expect to find one of the most comprehensive collections of decorative hardware in the country . Additionally, our unique collection of designer plumbing fixtures, provides our clientele with an experience offered by no other showroom in the country. What truly sets us apart, is the wide of range of talents and possibilities we offer our clients under a single roof. With more than 125 years combined plumbing & hardware sales experience, our staff is highly equipped to tackle the most complex building and design challenges. Aston is a leading brand and distributor of modern, luxurious Frameless and Completely Frameless Shower Doors, Tub Doors & Enclosures. We also offer a comprehensive suite of Freestanding Tubs, Tub Fillers. Steam Shower Enclosures, Whirlpool Tubs, Shower Panels, and other products to add luxury and functionality to your bathroom. Aston closely monitors design trends and user preferences, continuously enhancing its product offering with a variety of designs, colors and finishes to meet consumer demand. Aston’s design, engineering and manufacturing teams have long standing in the decorative plumbing industry where it has operated for more than 20 years. Headquartered in Garland (Dallas), Texas, Aston is ideally positioned to serve its extensive client base and expand its global footprint. Sierra Copper offers a full line of copper products and is the leader in custom copper products. If you can dream it, we can create it. Our products are created in our factory in Santa Clara Mexico where copper sinks originated. Use the Houzz Professionals listings to find Dallas, TX kitchen and bath accessory vendors. Don’t rule out asking a kitchen manufacturer’s design team for help, too. Skills often can be overlapped to save you time and money! Here are some related professionals and vendors to complement the work of kitchen & bathroom fixtures: Kitchen & Bathroom Designers, Kitchen & Bath Renovators, Interior Designers & Decorators, Joinery and Cabinet Makers. Find kitchen and bath fixtures and accessories, plus installation experts, on Houzz. Check out Texas kitchen products and installers, and bath plumbing products and installers, on Houzz. 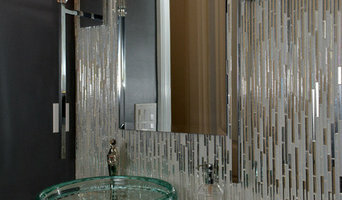 You can also look through project photos provided by Dallas, TX renovators, retailers and designers.